Welcome back to dHarmic Evolution podcast with me, James Kevin O’Connor, singer/songwriter, audio/video artist, and master storyteller. Today we’re in Aruba with the amazing Esha! Esha is a bit modern pop, a bit world, and a whole lot of awesome! Her amazing voice carries catchy lyrics and melodies that sit on top of gotta-dance beats. Add to that the inspiring messages of her songs, and you’ve got something special! 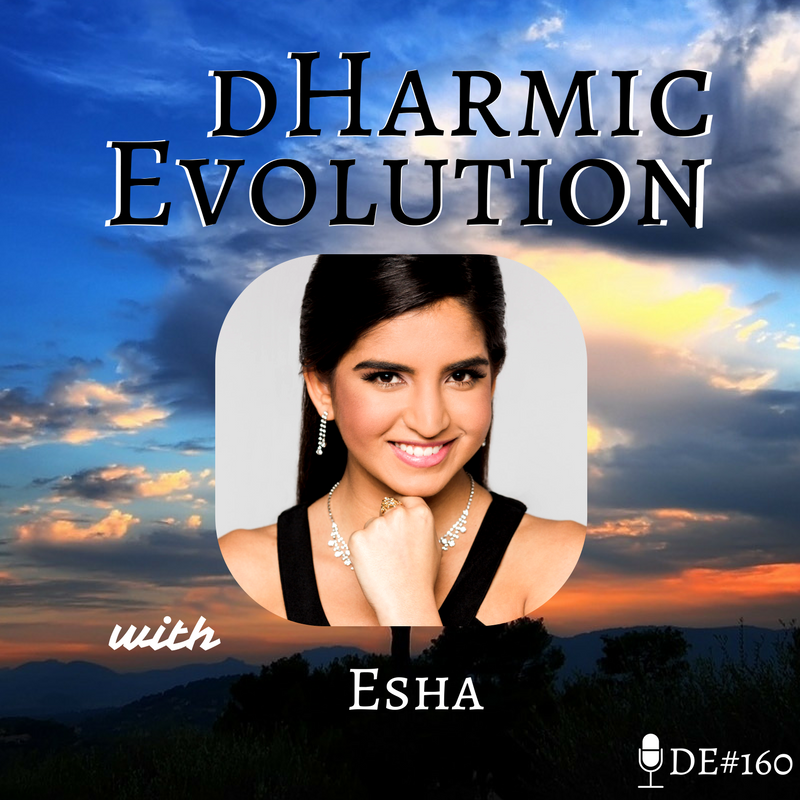 Hear about Esha’s journey through her personal challenges, hating the piano, and major festivals, on this episode of dHarmic Evolution! -Esha hated the piano. Now she loves it! -Meeting legendary recording artist Seal! -Some of the challenges Esha faced along the way to success.